Who is this and why was he immortalized in a statue? All of you got it right. This is Edgar Hernandez aka Patient Zero of the Swine Flu epidemic. This statue was made in honor of the first boy who was stricken by the virus H1N1 in a small, eastern, Mexican town of La Gloria and was successfully recovered from the disease. 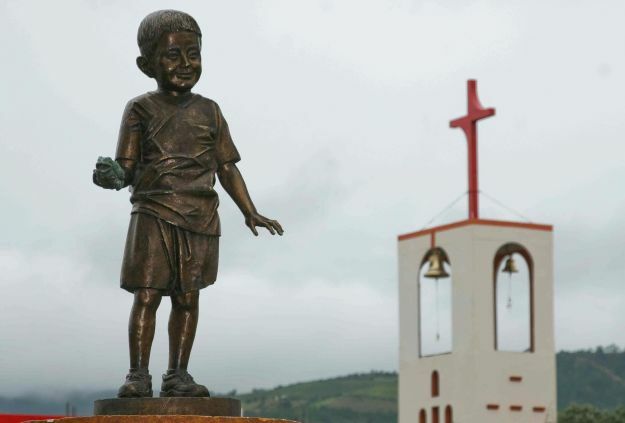 This statue was made in honor of the first boy who was suffering from the H1N1 virus in the small, eastern, Mexican town of La Gloria and has successfully recovered from the disease. Edgar Hernandez of Mexico – the first swine flu patient. Edgar Hernandez, world’s first H1N1 victim. statue of the boy who was infected by h1n1 first. he is from the city of La Gloria. he has successfully recovered..